How Will Your Remodel Project Benefit from the Design Build Process? 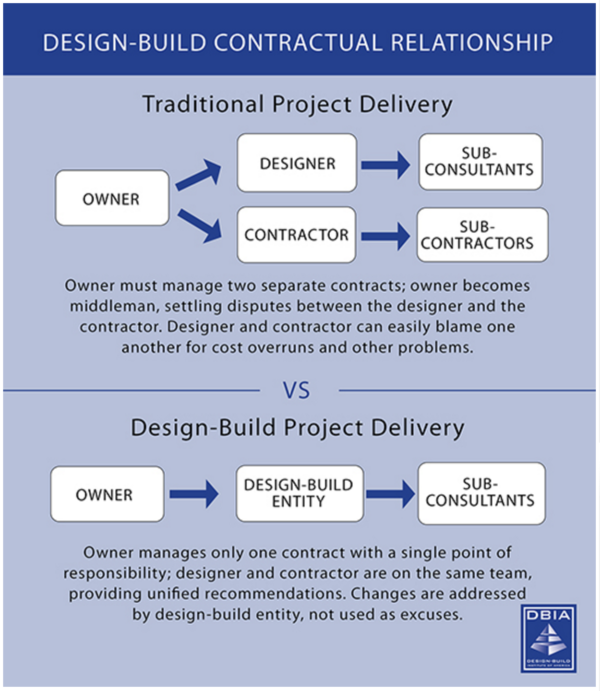 This infographic from the Design Build Institute of America (DBIA) illustrates the differences between the Design Build method and the traditional design-bid-build system for remodeling or building a home. At LEFF, we know that Our Process, with one point of contact and accountability, results in a superior client experience that saves money and time. Take our Project Survey to assess for yourself whether your project would benefit from the Design Build Process. The questions get you thinking about how your home may or may not fit you and your lifestyle. Your filled-in survey answers will be emailed back to you, so you can use them as a guide when you decide to move forward with your project. Have fun!